*This post contains affiliate links, which means that if you click an affiliate link and make a purchse, I may receive a small commission. There is no extra cost to you for this. Leadpages creates “Leadpages” (landing pages) or “Leadboxes” (pop-ups). And it is awesome. It has fantastic templates for landing pages, and I love the simple look of the Leadboxes. Once you spend 5 minutes poking around, it's very easy to use. And you can use it to automatically send lead magnets/content upgrades, which is fantastic. I wrote an article about how to use it right here. I use it all over this site. If you're clicking on something around here, it's probably leading you to Leadpages. ConvertKit is hands-down my favorite email service. I've tried AWeber and MailChimp and ConvertKit blows them both out the park. It just has incredible functionality. They advertise that's built by bloggers, for bloggers, and honestly, it's so obviously true. It really is like it is made for me. You can create sign-up forms and automatic emails, of course, as you can with any program. But it's so much more than that. The best thing about ConvertKit is its ability to tag and segment users automatically. You can say “Anyone who clicks on the Pinterest Challenge link in this email will be tagged as ‘Interested: Pinterest' and anyone tagged as ‘Interested Pinterest' will receive these 5 emails about Pinterest.” Or, “Anyone who finishes this series of emails will lose the tag ‘New Subscriber' and get the tag ‘Existing Subscriber.”‘” And on and on and on. It's so, incredibly useful. I've been converted to ConvertKit, and I can't imagine I'll ever switch. Canva is my dream come true. It's a graphics program, and it is so freaking easy. When I started blogging and realized I was supposed to create Pinterest templates and Facebook headers and all that jazz, I was up a creek. I actually have started to learn how to use Photoshop, but I'm still not rocking it. Enter, Canva. Canva is so incredibly easy to use, and the graphics look amazing. And 100000 extra points because it has automatic templates in the all the exact sizes that you need (Pinterest graphics, Facebook headers, etc etc). And, it's free! They do have a paid program that gives you some extra features like the ability to save your brand colors/fonts, and the ability to “magically resize” one template into another size. But if you don't want to pay, you can get 95% of the features for free. I love, love Creative Market. It's a little bit like Etsy, but only for stuff like WordPress themes and social media graphics and fonts and email headers. They have amazing stuff from real people, and it's usually pretty cheap. I've gotten themes from there that have been great. I've spent so much time just wandering around looking at all the pretty things. Go check it out. OptinMonster is, not surprisingly, another opt-in provider. I love them because their graphics are great and it's super easy to design. My favorite opt-in monster feature is the ability to automatically add an opt-in to the bottom of every post. So you just create it once, and then never have to worry about remembering to insert it again. You can also use it for sidebars, footers, pop-ups, top bars, and on. Asana and Trello are organizational tools. The short version is that you create task lists for you (and your team, if you've got a team). Which I know doesn't sound like the most exciting thing in the world. But it's honestly improved my organization so much. You can create as many “projects” as you can want and then create “tasks' within those projects. Assign the tasks to a specific person, create a due date to put on the calendar, and check them off as you go. I use it for content calendars, social media reminders, and all that kind of stuff. I also have projects for non-blog stuff like my real job and personal projects (i.e., do the freaking laundry already). Trello works similarly to Asana, it's just laid out a little differently. I used to be a Trello evangelist, but I've recently started using Asana and I think I like it better. But either one is great. And both are free unless you need fancy business upgrades, which you probably do not. If you're using Pinterest (which you should be! ), then you need one of these tools. Both are automated tools that do your pinning for you at scheduled times. You select your pins as far in advance as you want, and then BoardBooster or Tailwind do the actual pinning throughout the day. That's the basic functionality of both, but there are some differences. The actual way you pin is different, and they have some different tools. For example, BoardBooster has the “Looping” tool, which recycles your old pins and repins them so that stuff is always getting seen. Tailwind, for example, has the Tribes feature, which is a group that repins each other's stuff. So, they're a bit different, but both are good. First, let me say that Iconosquare is NOT one of those spammy “auto-follow/auto-comment/auto-like” Instagram tools. I do not use those and neither should you. 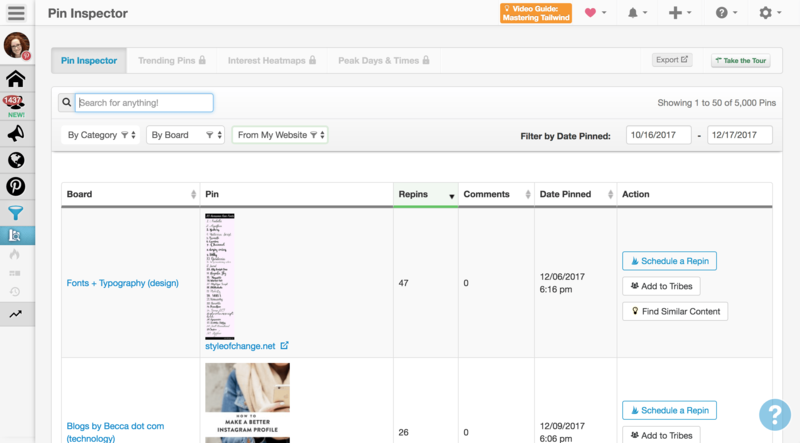 Iconosquare is an analytics tool for Instagram, and it is awesome. 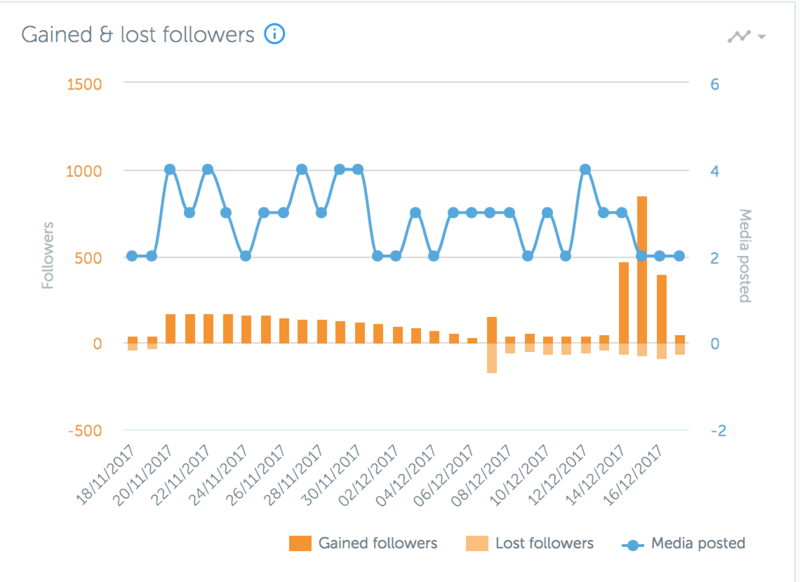 It provides pretty much every kind of analytics you could think of for Instagram. Followers, media posted, likes, comments, unfollowers. You name it. I love, love it and use it constantly. It has a free plan, but also has a pretty cheap upgrade plan if you want way more features. Essential Grid rocks my world. It creates grids (duh). Meaning, photo grids, or PDF grids. Use it to create amazing photo grids of your Instagram stream or your portfolio. Or use it to make a Resource Library that shows photos of your PDFs and then links straight to the download (click here to see that bad boy in action). Here's one example, but there are SO many different skins and way to use it. Oh, Grammarly. Grammarly is a tool to automatically check your grammar and spelling. And it catches sooooo much. It has a Chrome extension, so just install that, and then it automatically checks things for you. It allows you to auto correct when you screw up, and points out your mistakes. 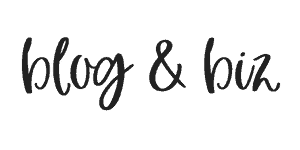 It's great for blogging, but also just for regular emails and whatever else you're writing. Honestly, it catches about 1000 things a day for me, which is maybe embarrassing, but true. I just spelled embarrassing wrong, but it caught it. You can also copy and paste posts (or whatever) on the website and have it check the whole thing for you. Thumbs way up. 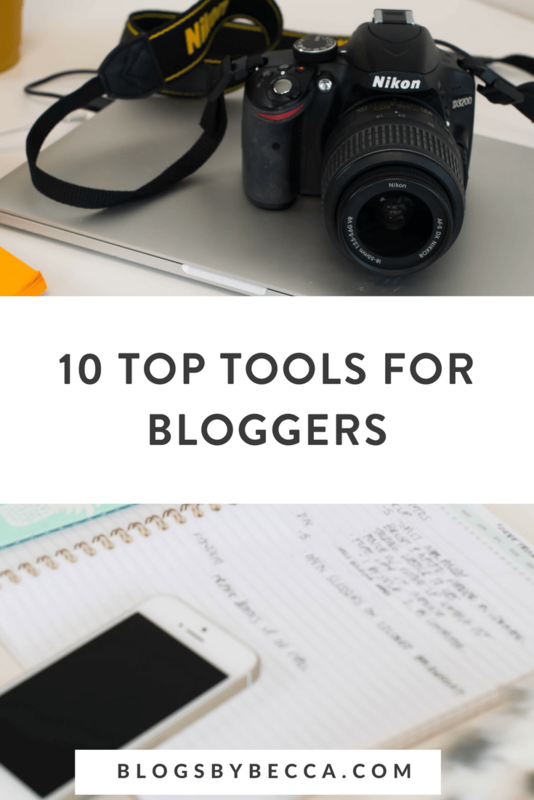 So what tools are you using on your blog? Let me know in the comments!